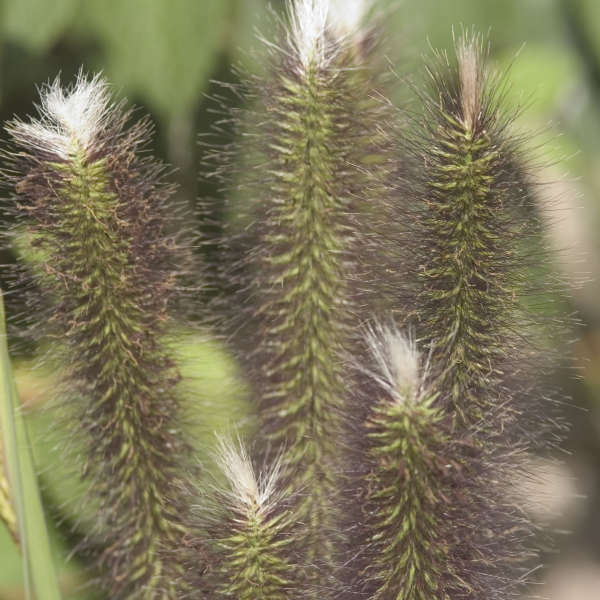 (Formerly known as Pennisetum a. 'Japonicum'.) 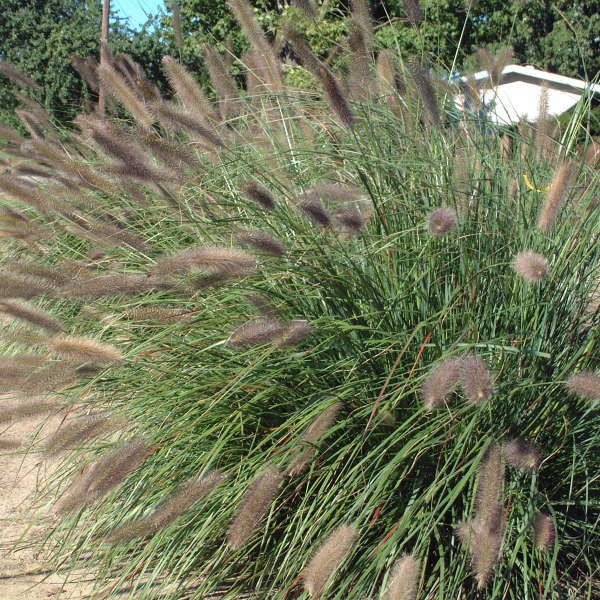 This grass forms a dense clump of foliage as tall as it is wide. The narrow, green leaves turn a stunning golden color in the fall. In late summer, smoky-rose, bottlebrush-like plumes measuring 6-8 inches or longer are produced. As they age, the plumes develop a white tuft at the end like a fox's tail. Perhaps this is why it was given the name 'Foxtrot'! Pennisetum prefers to be grown in rich loamy soil with good drainage and full sun or light shade. 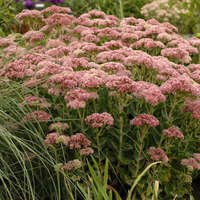 However, it will grow in rocky or sandy soil as long as it remains fairly moist. This grass resents having "wet feet". 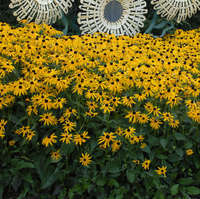 This species may be proagated by seed or division.